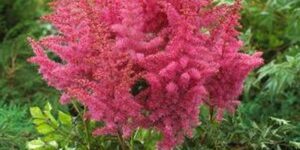 The Astilbe ‘ Hennie Graafland’, Astilbe simplicifolia ‘ Hennie Graafland’, is a colorful feathery flower with light pink blooms and shiny bronze-green foliage. 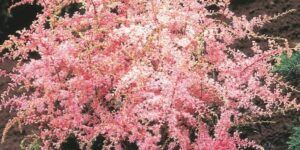 Hennie Graafland is part of the simplicifolia group which are known for their fine textured foliage. The flowers contrast wonderfully with the dark bronze-green foliage. 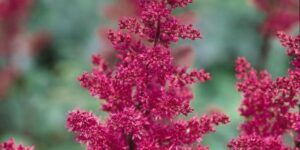 Astilbe ‘ Hennie Graafland’ blooms in mid-summer. 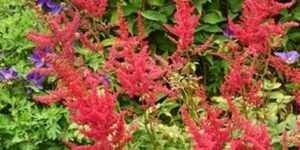 Astilbes are grown most successfully in rich soil and under partial sun. 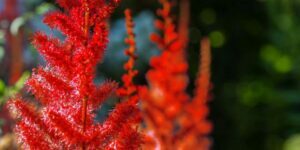 The biggest key to successful growth of your Astilbes is water. they require a lot of water. The soil must remain moist. 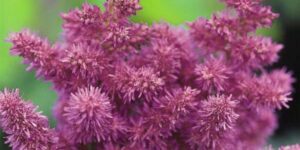 If the soil dries out the plant will falter quickly, especially in the sun. Wait to cut the foliage back until spring as that will protect the plant during the winter. 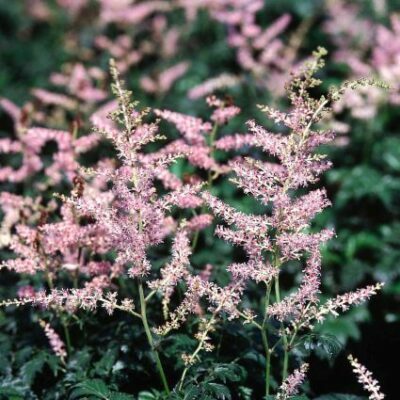 Fertilize Astilbes in late spring before the flowers emerge. 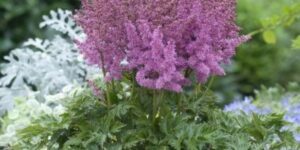 Astilbes can be used as cut flowers, perennial borders or shade gardens with Hosta’s and Ferns.